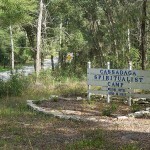 The Cassadaga Hotel was created in the early 20th century and is located in the heart of a spiritualist community which was established in 1894. The hotel is known for its “spirits” and psychics. 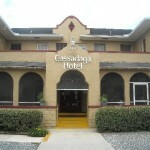 The hotel rents out rooms and also has psychics on-site and available daily. The hotel has been renovated but still holds onto its timeless grace. The hotel is only 40 miles from Orlando and 20 miles from Daytona. You have to be 21 and over to stay at the hotel, so I’m pretty sure what you heard wasn’t a physical person. I stayed at this hotel in the 90’s and had that feeling of hair standing up while in the hallway upstairs. The desk clerk said it was Arthur, their ghost, and he has been seen lurking about for many years. I did a an overnight investigation here and had the whole hotel to myself with my team and captured amazing evidence back in May of this yr. Spirit box session which was all white noise until asked, “Where are we sitting?” and we were upstairs sitting on the couch to the left as you get upstairs above a sign that says “spirit room” I cud be wrong about what the sign said but it had the word “spirit” in it and the spirit box said “spirit” as well as capturing it on a EVP recording. While outside on the deck to the right of the hotel when facing the front, supposedly there is a little girl who enjoys hanging around the gift shop area and inside the gift shop, well my buddy and I were standing there around 2:05am and the town was dead quite and we were the only ones there and all of a sudden (get goosebumps writing this lol) we both heard a “Hi” in a girls voice! The most amazing thing every!! We both looked at each other and said “did you hear that?” “a girls voice said hi” lol something that will never leave me as long as I live and by far the greatest experience evidence wise I had, altho it was a personal experience but we both felt it! Super friendly feelings with no harm at all throughout the whole building. I do suggest bringing a trigger object like a ball for the two girls upstairs to play with though! We did capture on film the ball moving over 6 feet after asking the girls to play with it cuz it’s theirs.. We said that after we stood up from the couch and walked downstairs and again we were the only ones there! We all stood back and gasped when we got back upstairs and saw the ball moved and on top of that we put crystals in front of the ball and the ball had rolled over them lol.. If you love investigations then you’ll love this place!! While staying at the hotel in room 4, my husband (formerly a non-believer), saw two large figures on the ceiling above the bed while awakening from a nap. They floated across the room. Later, when we left the room for dinner, we tried to lock the door. After locking the door, the locks popped out. We tried this multiple times with the same result. In the morning, i asked the woman at the desk if the lock was broken. She replied that the spirits in room 4 don’t like the room to be locked but she added: “Don’t worry, they will watch your stuff”.